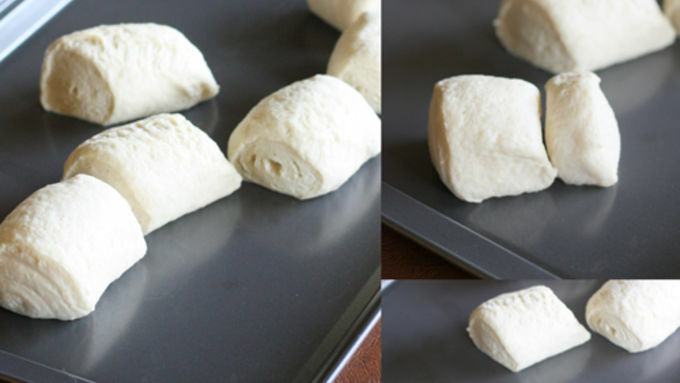 Open the can of dough and cut it into 6 equal parts using a knife. Take one of the dough sections and cut 1/3 of the dough off for the bunny ears; the remaining dough will be the body so roll it into a round ball. Take that 1/3 portion that you cut off and slice it into 2 equal parts and form the bunny ears (about 2 inches long and 3/4 inch wide). Slightly pinch the ears to the body so that they stay attached. Place on the baking sheet and cook for 8-10 minutes or until rolls are slightly brown. Once rolls are done, completely cool. Pipe a nose and whiskers on the middle of the bunny face. Adhere the mini chocolate chips or mini candied pieces with a small bit of frosting. Enjoy! My family’s Easter traditions have evolved over the years. If you’re open to new traditions, I’ve got a great one for you in these super adorable Easter Bunny Buns. Remember when we used to hide real hard boiled eggs in our backyard? It seemed like every year there were a couple of eggs that did not want to be found, and sure enough about a week later an awful pungent smell would be radiating from the corner of the yard. The Arizona sun had no mercy on the deserted eggs. We slowly switched over to plastic-filled eggs over the years, and my mom always hid a “golden egg” that had a twenty dollar bill in it. 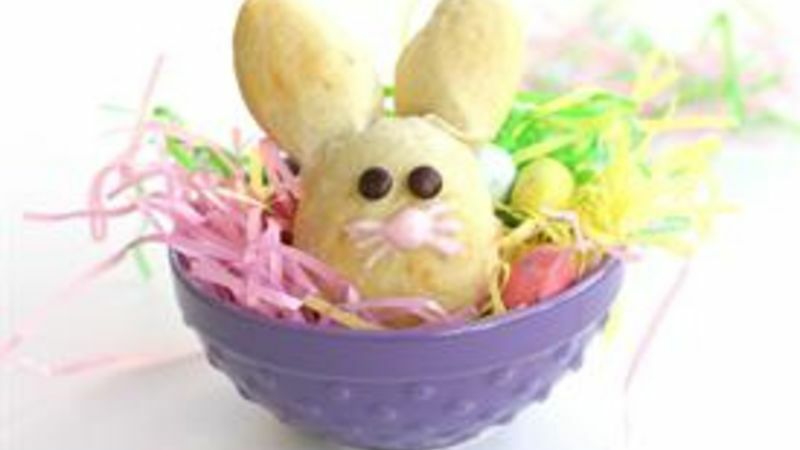 I never found the golden egg because I was too busy stuffing my mouth full of chocolate from my Easter basket. As we start traditions in my own family, I have to analyze what works for us and what doesn’t. 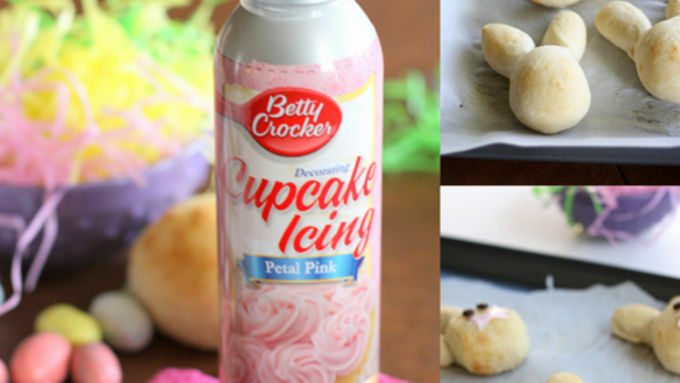 These Easter Bunny Buns would be a fun new tradition for any family. They’re cute and impressive without taking much time at all, which works for me in this crazy stage of life right now. I used some Pillsbury™ French bread dough for these, but you could use any bread dough you have on hand. And just like that, you have easy fun rolls that your kids will go gaga for. Plus, this Easter tradition won’t leave your backyard smelling horrific! 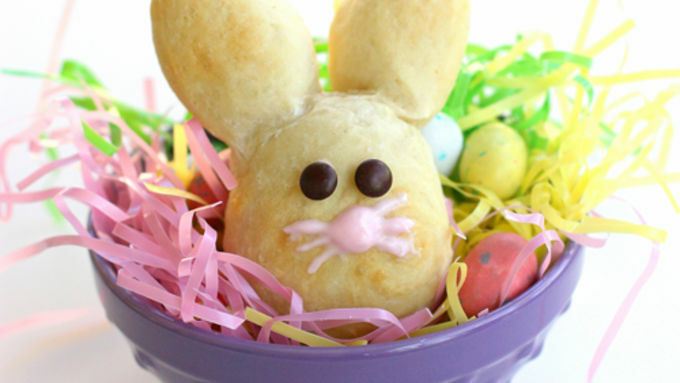 Make more traditions with Easter recipes like these!